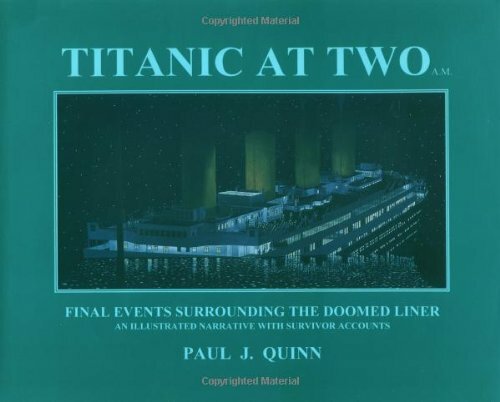 NOAA - the National Oceanic and Atmospheric Administration - visited Titanic during 2004. Among other things, researchers found the bow of the once-great ship is deterioriating. Image online, courtesy NOAA / Institute for Exploration / University of Rhode Island (NOAA /IFE / URI), via NOAA's website. As artifacts are recovered from the slowly disintegrating ship, some folks, like Dr. Ballard, think Titanic should remain undisturbed. With considerable funding behind him, Ballard is pioneering a way for people to view the great shipwrecks on-line. Using the power of technology and the Internet, he is trying to balance the competing issues of historical inquiry and public curiosity with the need to protect and respect wreckage sites. Is it better to view a pair of shoes where the body fell, for example, or to view those same shoes as they sit on a museum shelf? Ballard’s first project, ironically, is Britannic, the last of the three White Star sister ships. Lying in about 400 feet of water off the Greek island of Kea in the Aegean Sea, she sank on November 21, 1916. Thirty people died, but the death toll could have been much worse. During World War I, she was converted from RMS Britannic to HMHS Britannic - His Majesty’s Hospital Ship. On her way to the port of Lemnos, to pick up 3,600 wounded men, she either struck a landmine, planted by U-73, or she was torpedoed. At the time, many of her portholes were open. Scientists are certain that is why she sank in about 55 minutes. Slightly larger than her sister ship Titanic, the Britannic also sank bow first. But there was something curious about the way she died. Sinking bow first (perpendicular to the surface of the sea as her sister was positioned in her final moments), Britannic’s 883 horizontal feet became 883 vertical feet. She became, at that moment, deeper than the sea - so to speak. As her bow touched the bottom of the sea, it could not support the weight of the entire ship. It cracked under the strain. She lies now, on her side, with a cracked bow as her sister lies in the North Atlantic, broken in two. 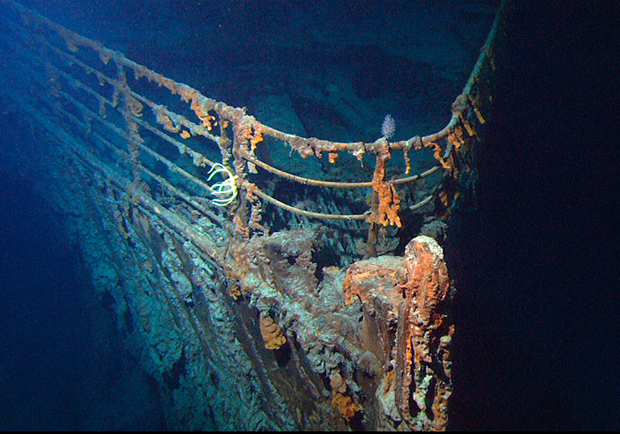 Go on-line with the Discovery Channel to view the Titanic wreckage. A huge archive of photos is available at the Ulster Folk Museum. The entire proceedings of both the British and American hearings are on-line, thanks to the Titanic Inquiry Project. 2nd Officer Lightoller's granddaughter has recently revealed what her grandfather never told anyone except his wife. It makes for interesting reading (and lots of questions). Bos, Carole "THE REST OF THE STORY" AwesomeStories.com. Mar 01, 2004. Apr 23, 2019. Should Artifacts from Shipwrecks Be Salvaged?